Imagine working from home on a business you love, feeling complete freedom. Your business helps others create radiant health in their lives and provides generous financial support for you and your family. If this sounds too good to be true, it’s not – thousands of people just like you are living this dream right now, and it all started the moment they decided to start their own dōTERRA essential oil business. Three years from now you could be looking back on this decision as the one that changed your life. Over the last ten years, interest in essential oils has skyrocketed. People are searching for alternatives to traditional medicine, and it’s undeniable that one of those alternatives is essential oils. But the essential oil business is still a relatively untapped market, with only 1% of the population using essential oils even though over 70% of people are interested in using holistic products to improve their health. The demand for high quality essential oils has never been higher, which means that selling these oils as a consultant has become one of the very best opportunities for anyone with an interest in health and wellness. And although there are many essential oil companies to choose from, dōTERRA stands out above the rest because of the supreme quality of their products. dōTERRA is a leading edge company helping millions of people create genuine health, wealth, freedom and fulfillment in their lives, while simultaneously making the world a better place. They provide a way for people just like you to build residual passive income, meaning that the effort you put in now will continue to create income for the rest of your life! 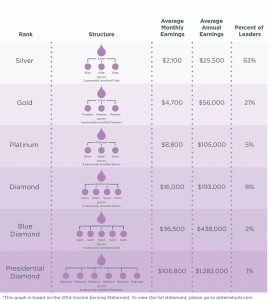 How much you earn with dōTERRA depends on how much effort and energy you put into your business, but as you can see from the following graphic, over 60% of dōTERRA leaders earn over $2000 a month. Check out doTERRA’s sales compensation plan for more information. Are you a fit for doTERRA? If any of this appeals to you, congratulations – you’re the perfect candidate to earn income as a dōTERRA Wellness Advocate. When you enroll as a Wellness Advocate, you can choose to sign up under another Wellness Advocate – this person is known as your upline and will be your mentor as you start and grow your business. The biggest mistake that people make when enrolling with dōTERRA is signing up with a mentor who is not compatible with their personality or goals, leaving them with a lack of guidance and support. And because dōTERRA discourages “switching teams”, once you sign up you won’t be eligible to be reassigned to a different upline unless you allow for six months of inactivity in your account (twelve months if you’ve reached a rank of silver or higher). It’s important to pick the right mentor right from the start. Choose someone who resonates with you and offers ongoing support to ensure success. 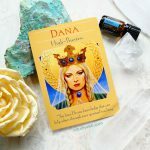 If you feel inspired to work with me, I’m happy to offer you an abundance of support and resources. You’ve chosen a mentor, now get ready for the fun part: shopping!  The next step is to choose your starter kit. Purchasing a starter kit is a small investment that will deliver tremendous results. You’ll use your kit to familiarize yourself with dōTERRA products so you can share them confidently with others. 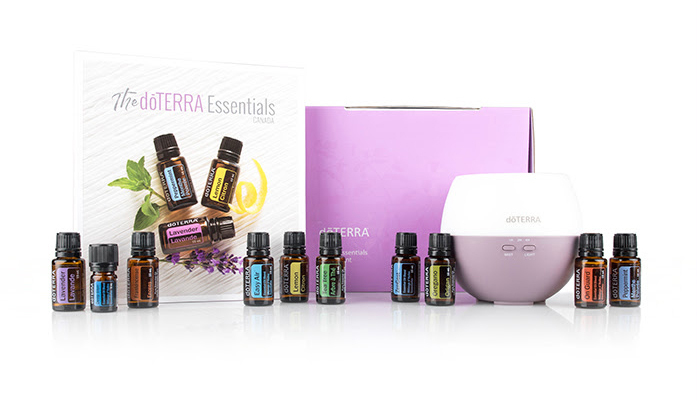 There’s a kit for every budget, starting at just $150 USD for the AromaTouch Kit all the way up to $2650 USD for the Diamond Kit, which contains almost every product that dōTERRA has to offer. I recommend buying the largest kit your budget allows, since you’re only eligible to buy ONE starter kit and the bigger the kit, the more money you’ll save in the long run. Once you’ve decided on a kit, it’s time to go ahead and sign up! Click here or visit mydoterra.com/intuitivekb if you’d like to sign up with me, or enter your mentor’s unique dōTERRA link in your browser. Click “Join & Save” in the navigation bar. Choose the Wellness Advocate option. The enroller & sponsor ID box should already be filled out for you. Choose your starter kit and add any additional items to your cart. If you don’t want a starter kit, you can instead select the Introductory Packet ($35 usd / $42 cdn) and then add your desired products to the cart. Join the Loyalty Rewards Program (LRP) by setting up your first LRP order, which will ship next month. The LRP is a free program that enables you to collect rewards points on all your purchases, which can then be exchanged for free products. About a week or so after you sign up with dōTERRA, a beautiful purple box will arrive on your doorstep. Take a photo! This is the start of an amazing journey. Invite a friend over when your box arrives. Open it together and have fun opening all the bottles and smelling all the oils! If you do this one simple step, you’ve already learned the key to your future success with dōTERRA: SHARING. 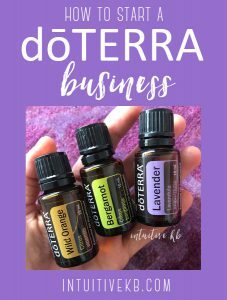 You don’t have to “sell” dōTERRA; dōTERRA sells itself! People are naturally drawn to the products, and love them the moment they try them. You never have to feel pressured to “sell”. All you have to do is SHARE. And so the sixth step in starting your dōTERRA business is to simply find ways to SHARE the products with others. Most Wellness Advocates do this by hosting classes or parties; you can also approach people in your community who are already passionate about holistic health (massage therapists, chiropractors, naturopaths or reiki practitioners for example) and offer them samples. If you have a website or social media presence, you can write blog posts or reach out to your fans and followers. Get a business card printed immediately. I love the square cards from Moo; you can also use Vistaprint or Vistaprint Canada. 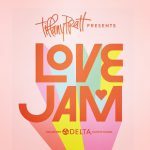 If you are on my team, contact me for beautiful images to use on your cards. Put together sample bags containing your business card plus a 2ml roller bottle sample, an OnGuard throat drop and one of doTERRA’s pre-made samples (such as OnGuard toothpaste, shampoo & conditioner, or Deep Blue Rub). I also include a rose quartz crystal for good vibes! Purchase some product guides (catalogs) on your next LRP order. They’re only $1 and can help potential customers get to know the products. The last and possibly most important step to starting and growing a successful dōTERRA business is to continually focus on your own personal development. 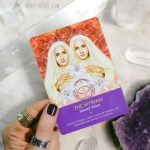 This means that you are constantly working on your own growth and evolution. You Can Heal Your Life – a classic that teaches how to create health and happiness in all areas of your life. My current gift to new Wellness Advocates on my team is a complementary intuitive reading or wellness consultation valued at $150. During your call, I’ll reveal any energetic blocks or limiting beliefs that may hold you back and share tips for your success. We can also talk about your health goals and how to achieve them with essential oils. To take advantage of this limited time offer, sign up for doTERRA as a Wellness Advocate (see step #3 above) and email me at kb@intuitivekb.com to schedule your call. As always, if you have any questions, I’m here to help. Please email me anytime at kb@intuitivekb.com or leave a comment below. I look forward to working with you.